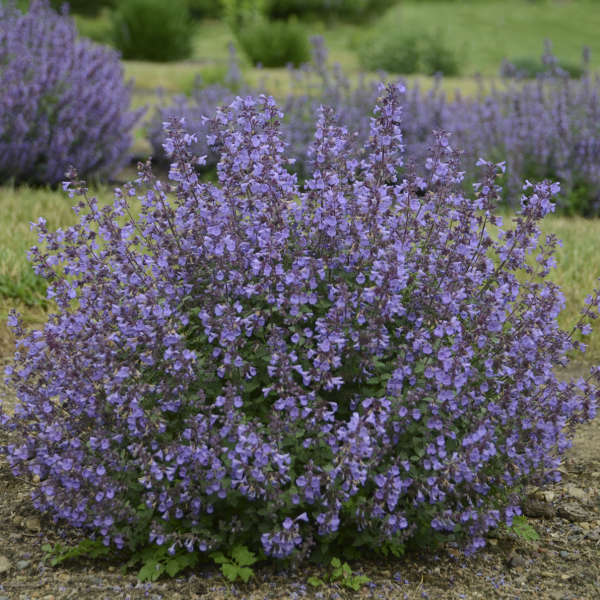 The popular 'Purrsian Blue' changed the way we thought of catmint by giving a solid performance in a cute little package. If that wasn't small enough for you, you'll love 'Kitten Around'! 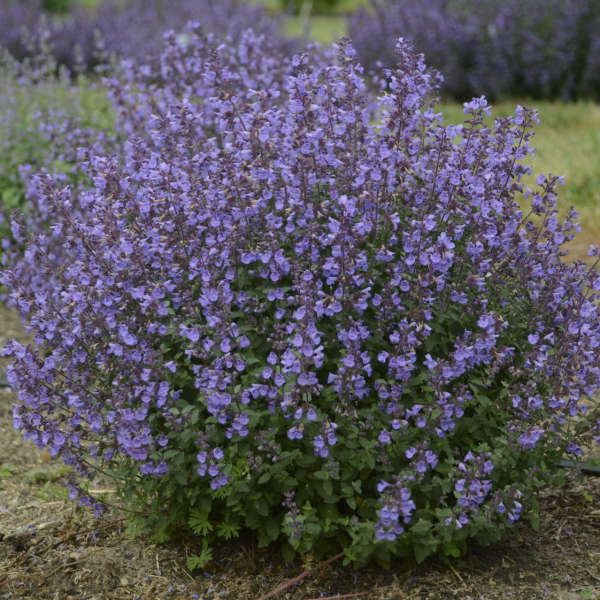 Even more compact and petite than its predecessor, this plant forms a tight, round mound of aromatic foliage. 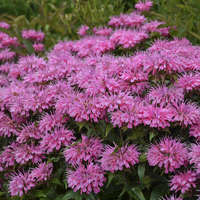 Bright rosy purple calyxes hold periwinkle blue flowers. 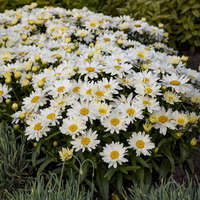 The perfect size for containers, edging the sunny border or filling in small spaces in the garden. 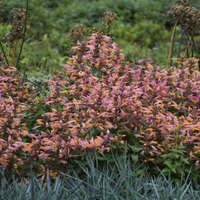 Nepetas are easy to grow perennials that provide a beautiful show of color all summer long. 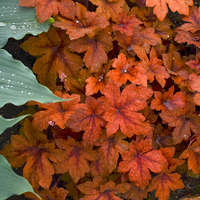 They prefer to be planted in full sun and ordinary, well-drained soil. 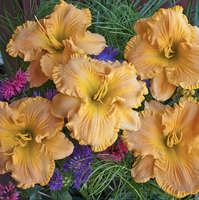 Shearing the plant back in the springtime will promote more compact growth. 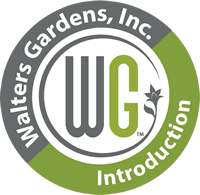 In addition, cutting plants back by half after their first bloom tends to stimulate a second bloom cycle.